Image credit & copyright: Cory Schmitz. Wow, what a shot by Photographing Space’s Cory Schmitz of the Milky Way above Deadvlei, near Sossusvlei in the Namib-Naukluft Park, Namibia. This is someplace that I’d really love to visit as this landscape is just amazing and the night skies are the darkest of darks. The Milky Way in this image is striking to me. The detail and the color throughout the thick plane of gas and dust is amazing. You can actually pick out individual nebulae and star forming regions all backlit by light of billions shrouded at the core of our star city. Another aspect that I love about the Milky Way here is the fact that you can see so much of it. 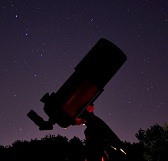 Up here, where I am in the Northeastern U.S., I’m lucky to see as far south as Antares in the summer. You may be looking at this image and wonder how trees grow in such a dry location. Well the truth is, they don’t. These Acacia erioloba trees lived long ago when the Tsauchab river used to flood which in turn created these local pools of water which would then later dry up. Through the years as the climate changed, sand dunes moved in and the river slowly snaked itself away from this location leaving these ghosts of an ecosystem now long gone. How long gone? It’s estimated that these trees died nearly 700 years ago. The extreme dryness of the location prevents them from decomposing. That’s what you call a dead marsh! Also, if you go to https://photographingspace.com/ right now; and until February 1 you can vote on the top 12 astrophotography images of 2016 and they’re pretty amazing as you can imagine. 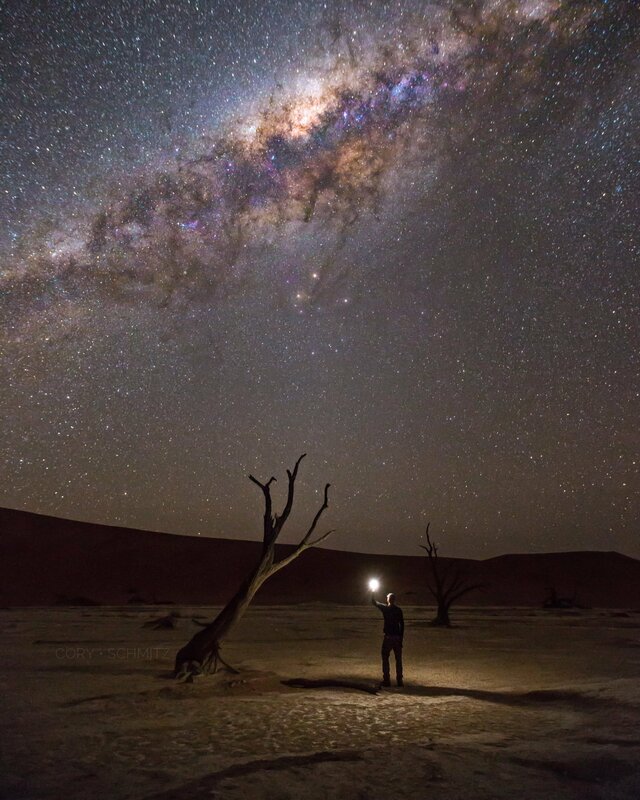 Image | This entry was posted in Astrophotography (Wide Field), Galaxies, Images and tagged Astronomy, Astrophotography, Cory Schmitz, DanSpace77, Deadvlei, Galaxy, Milky Way, Namibia, Night Sky, Photographing Space, PhotographingSpace, Space. Bookmark the permalink.